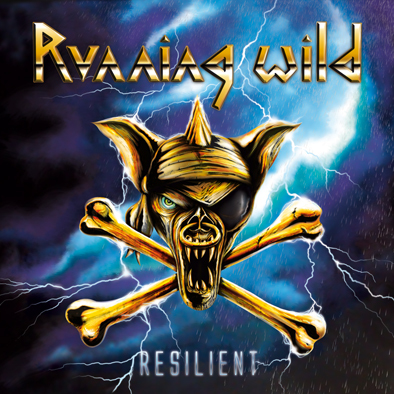 German power metallers RUNNING WILD will release their new album, "Resilient", on October 4 in Germany and October 7 in the rest of Europe via Steamhammer/SPV. RUNNING WILD mainman Rolf "Rock'n'Rolf" Kasparek has come up with twelve storm-proof numbers, ten of which are scheduled for release on the regular CD. Two bonus tracks and a poster will be included on the limited version of the album. Kasparek was working full throttle on this new album since February 2013. 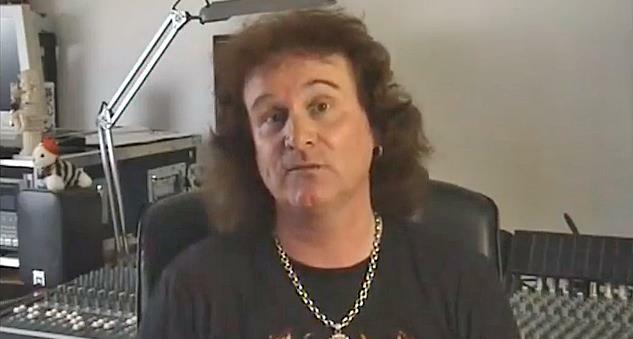 Due to his intense involvement with GIANT X, his band with guitarist Peter Jordan, Rolf had consciously taken a break from RUNNING WILD and has now resumed work with the band with zest and lots of new ideas. "The break was important and extremely refreshing for me," he explains. "I felt that renewed vigor as soon as I started writing the material for 'Resilient', tracks such as 'Fireheart' and 'Soldiers Of Fortune' just came pouring out of me. The dynamic pace of 'Soldiers Of Fortune' in particular kicked off a whole avalanche of creativity in me." Rolf explains that "Resilient" is audibly tougher and more compact than its predecessor, "Shadowmaker", clearly enjoying his revived zest. "'Shadowmaker' happened to come about slightly unexpectedly and spontaneously, even for me," he says. "The album has brought back the fun I used to have with RUNNING WILD, and my fans will get to feel this fun when 'Resilient' comes out in October!" The album's opener, "Soldiers Of Fortune", and the title track, "The Drift" and "Run Riot" will be three typical RUNNING WILD numbers. The most outstanding song on the album, however, is called "Bloody Island", with almost ten minutes playing time one of the longest tracks in RUNNING WILD's career to date. Rolf says: "As a composer, it's, of course, difficult for me to pigeonhole the new material stylistically, but friends who have heard the demo version of 'Bloody Island' claim that it would have fitted in on 'Pile Of Skulls'." In terms of lyrics, there are the familiar fusillades that we've come to expect from RUNNING WILD: "Bloody Island" and the bonus track "Payola & Shenanigans" see Rock'n'Rolf criticize the curse of greed that we've seen specifically in the European banking crisis of recent years. "Crystal Gold" is about the obviously politically motivated privatization of drinking water, and "Fireheart" and "Run Riot" are warnings to RUNNING WILD's fans to be confident of themselves and vigilant towards authorities. Rolf says: "For me, that's the attitude which stands for that true rock'n'roll feeling." "Resilient" was produced by Rock'n'Rolf himself, supported by Niki Nowy during the mixing and mastering process, as well as Katharina Nowy and Peter Jordan, who contributed a number of guitar solos. For the first time, Rolf worked with precise vocal lines during the demo recordings. "The targeted use of lyrics and vocal melodies during the demo stage was new for me, but it worked out really well and I've never gone to the studio as well prepared as I did this time around," he says. "I didn't have to try and test things but only had to put a few finishing touches to my singing at the studio. A definite advantage!" As to whether RUNNING WILD will present this brilliant album live on stage. Rolf says: "We've had a lot of festival offers for summer 2014, which we will look at carefully. We'll know more in a few months' time and will inform our fans as soon as we've made up our minds."